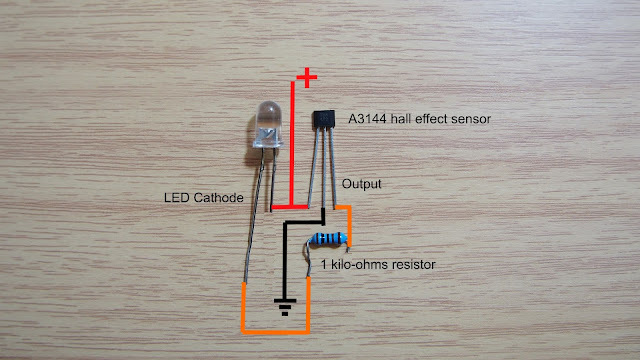 A resistor is the most important electrical component in almost every electronic circuit, it can limit current to any load such as led, transistor, op amp, etc. We must read resistor color code if we want to know the resistive value, tolerance, temperature coefficient. 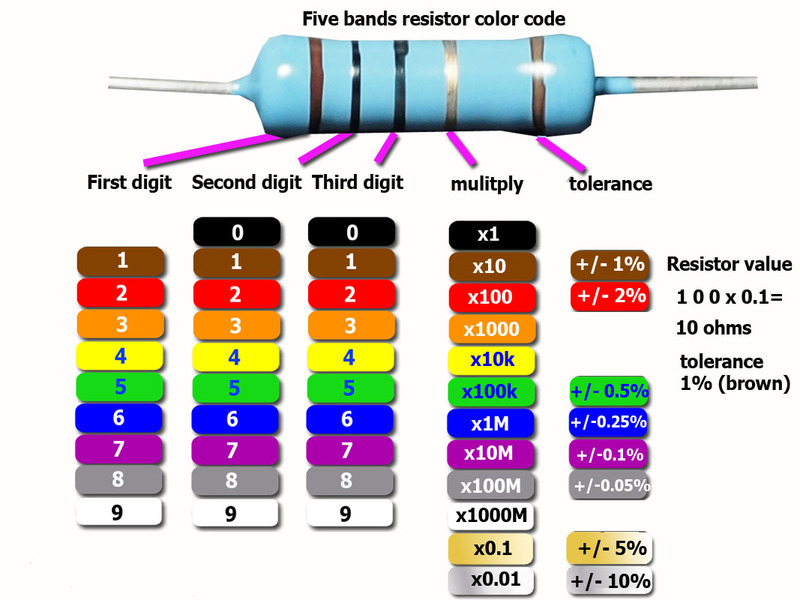 Resistors have different color bands (3,4,5,6) the more color bands the more resistor's information. 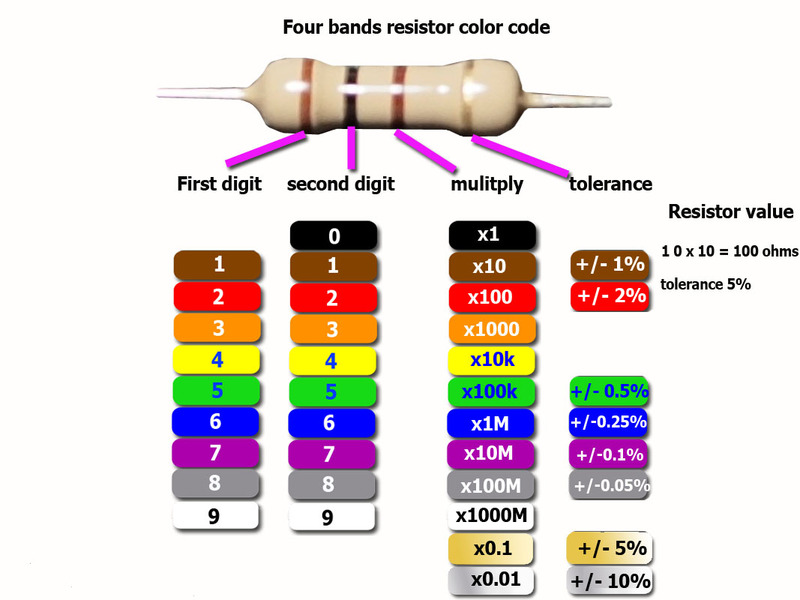 Now let's start with 3 bands resistor color code. 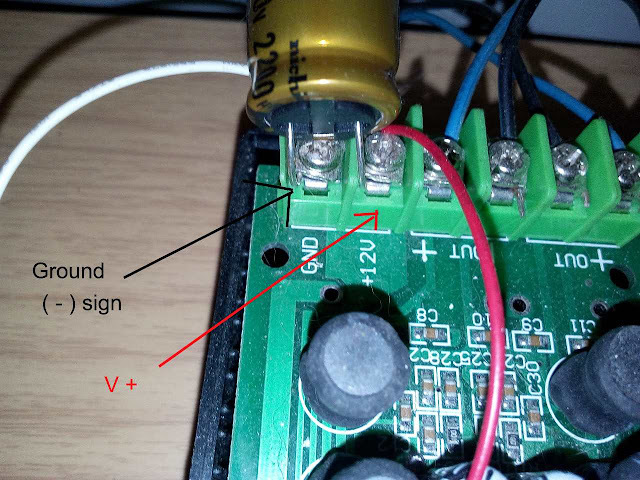 The above resistor has only 3 bands First digit, Second digit, and multiply. A 3 bands resistor color code has fixed +/-20% tolerance that means if color code value is 1,000 ohms the real life resistive value may be +/- 200 ohms. A 4 bands resistor color code has tolerance value color strip, the resistor on an above picture has 5% tolerance. 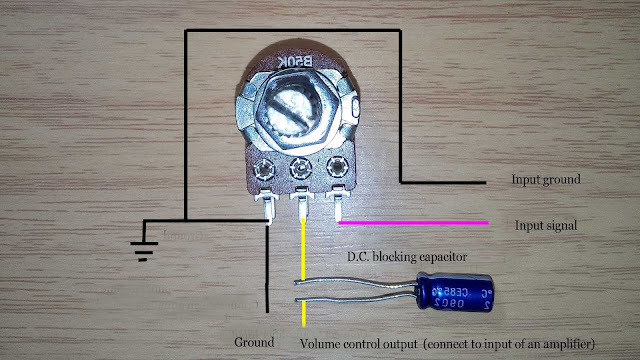 This type of resistor uses in a regular circuit such as television,radio,washing machine. 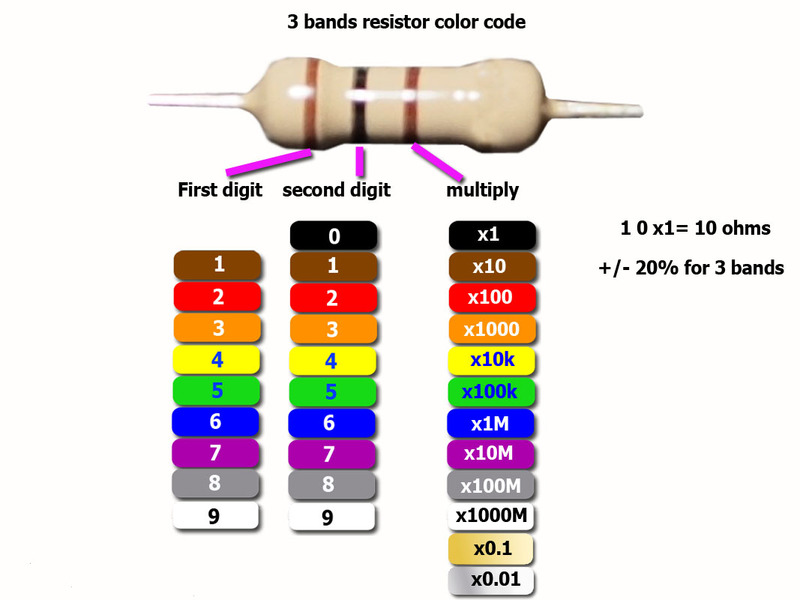 A 5 bands resistor color codes have third digit color bands. 1(first digit) 0(second digit) 0(third digit) = 100 x 0.1(multiply) = 10 ohms +/- 1% (brown) tolerance. 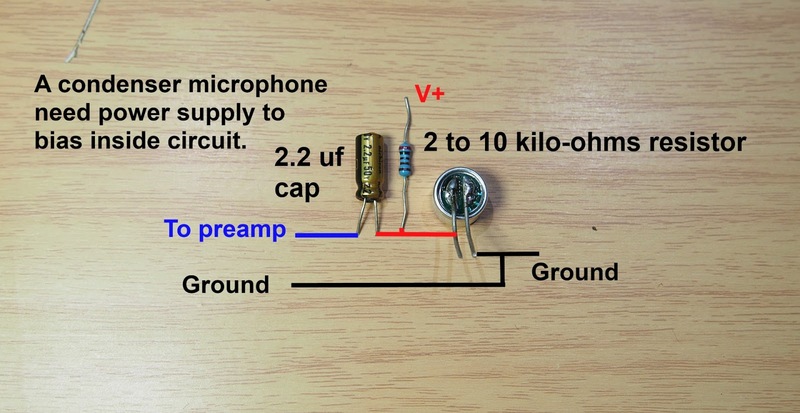 The resistor is good for opamp,power amp negative feedback because it has a very accurate resistive value. A 6 bands resistor color code. 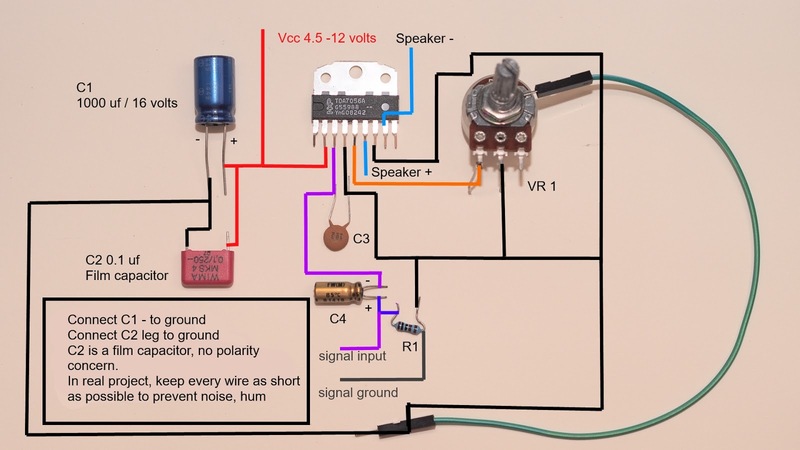 The sixth band uses for temperature coefficient value, this type of resistor use for the circuit that must be precise over wide range temperature. SMD resistor use number instead of color code, the last digit use as a multiplier for the first, second, and third digit (some SMD resistor has four numbers). The multiplier value increase by a factor of ten each time number increase by 1. 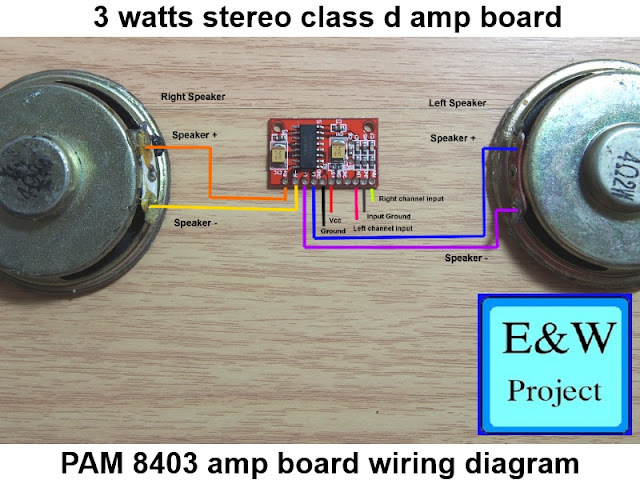 681 = 6 8 x 10 = 680 ohms. 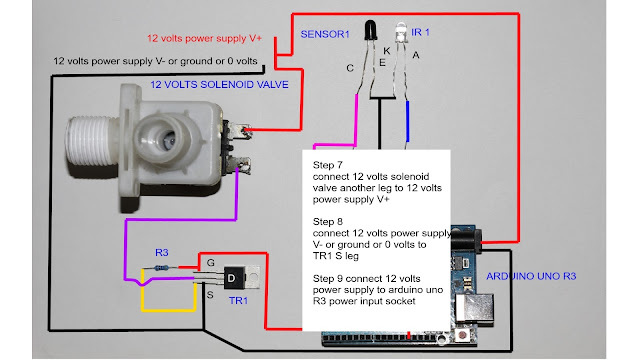 You may see 0R5, 4R7 resistor code and may don't know how to read it, now your problem will be gone. The R value is like a "." for a resistor code.